Have a look at the phrase in the picture above. What do you see? 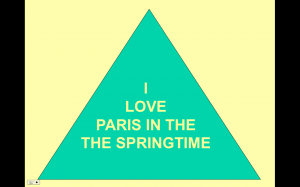 Most adults agree that it says “I love Paris in the springtime”. 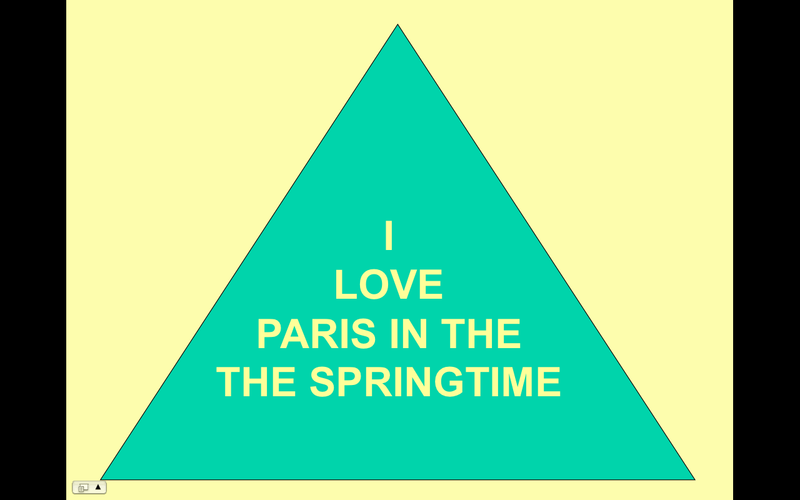 But if you look again it actually says “I love Paris in THE THE springtime”. Don’t worry too much if you didn’t see the extra THE. It’s pretty normal. As intelligent adults we look for patterns, that allow us to see shortcuts and that can be helpful. Sometimes though, we get so stuck in our normal patterns that we see what we think is there rather than what is actually there. We miss a lot of possibility that is all around us, because we are too busy looking for patterns that we are familiar with. Break your pattern today. See what’s there.